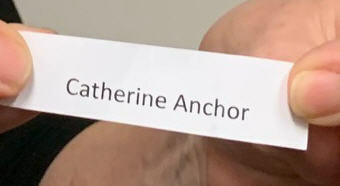 We are very excited to announce that Ms. Catherine Anchor, CCS, CTCS, is the winner of the CTCS HS Challenge! Catherine has been in the industry for 26 years and has seen a lot of change over that time. She currently holds the CCS designation (2004) and CTCS designation (2017). 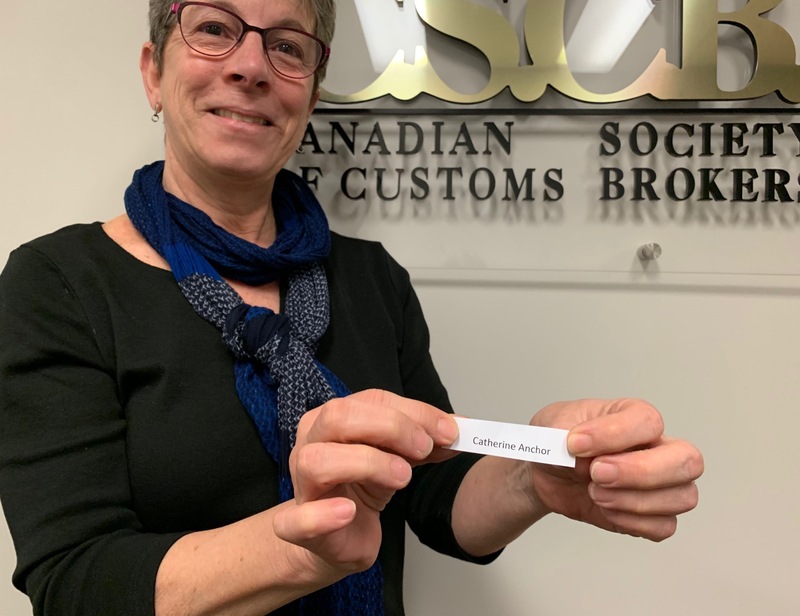 Catherine began her career in customs with Milne & Craighead Customs Brokers in Richmond, BC in 1993, immediately following her college placement. In 1996, she was transferred to the Toronto office where she continued to move through various departments until 2003. Catherine has recently celebrated her 15-year anniversary at Throat Threads Apparel, Burlington, ON as the International Trade & Logistics Manager. Throat Threads Apparel is a leader in the sales, marketing and distribution of men’s and women’s high end sportswear in Canada and the U.S. for over a dozen product lines. We will be interviewing Catherine while she attends the HS Conference at the headquarters of the World Customs Organization in Brussels and sharing her experience with you all. And for those of you who may want to attend the conference at your own expense, please contact us as soon as possible for more information. Registration is free of charge, and there are already more than 120 HS experts from all over the world registered to attend. As an added bonus this conference is being sponsored by the IFCBA, the International Federation of Customs Brokers Associations! We have received wonderful feedback from you about this challenge, so stay tuned for other interesting experiences in the months ahead! Catherine said: Thank you to the CSCB for the wonderful opportunity to attend the WCO HS Conference! BE said: What a fun challenge! VD said: The classification challenge was indeed interesting. MW said: Thank you … for this wonderful opportunity. And we thank our CTCS Designates for taking part in the fun! 136 took on the challenge - that's 47% of CTCS Designates! What a group! 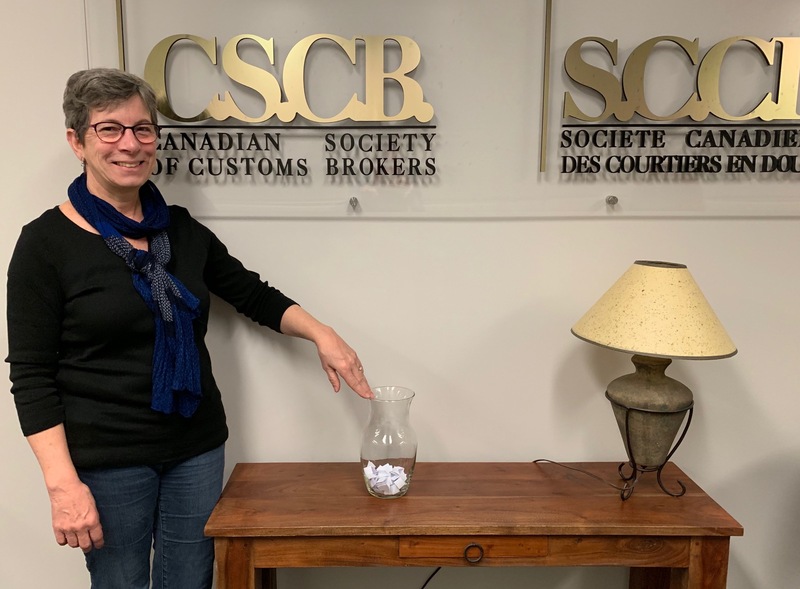 The CSCB Director of Advocacy and Education, Michelle Criger, had the pleasure of drawing the name of the winner.